A lot is said about tea leaf appearance, and I’ve been saying quite a bit of it myself lately (such as in this article), not to mention posting some of my favorite tea leaf photos online. Yes, those tea leaves have an aesthetic appeal all their own. My artist’s eye couldn’t resist a bit of exploration. But the aesthetic is not just their appearance. 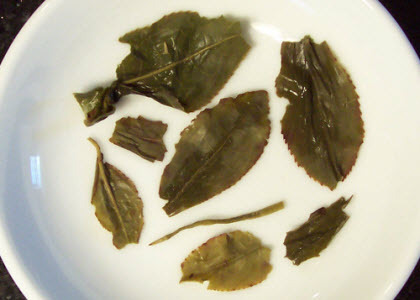 After all, what good are pretty tea leaves if they steep up tea that is harsh, bitter, or just plain yucky? 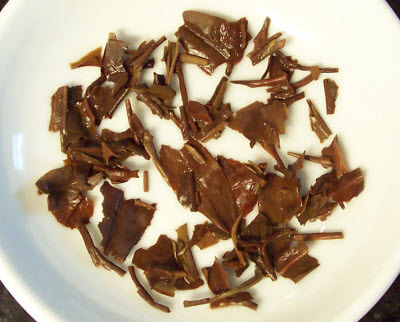 Spring Pouchong, from Pinglin Township in Taiwan, is a tea that I have enjoyed often and never found disappointing. The flavor is rich and mild with fragrances of flowers and melon. Plus, the joy of the leaving expanding and infusing, the ability to have several infusions from the same leaves – all make this a tea that is a treat for all the senses. One reason: Spring Pouchong is processed entirely by hand with leaves only being oxidized for a limited time before being wrapped in paper and dried. 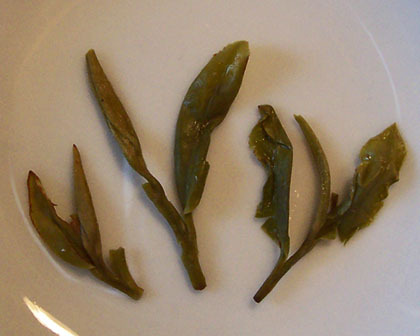 Another is Dragonwell (aka Longjing) where the leaves are mere tender buds that have not fully developed – it keeps the infusion from being overly grassy and bitter. This is another tea that shows care in harvesting and processing. Only the buds that are still tender yet sufficiently mature are plucked. Then they go through a kill green process to stop oxidation. Their light roasting gives them a nutty quality that keeps the flavor from being unpleasant. Black teas are the trickiest, it seems. Getting leaves that look good and steep up without bitterness seems to be uncommon. One reason is that black teas (what those in Asian call “red teas”) are often steeped longer and stronger so people can add milk to them – usually at least five minutes using water that was heated to a boil. I’m speaking generally here, and mostly it tends to be teas from the assamica varietal that are like this. Just as with people, that pretty appearance is not a guarantee of pretty innards!